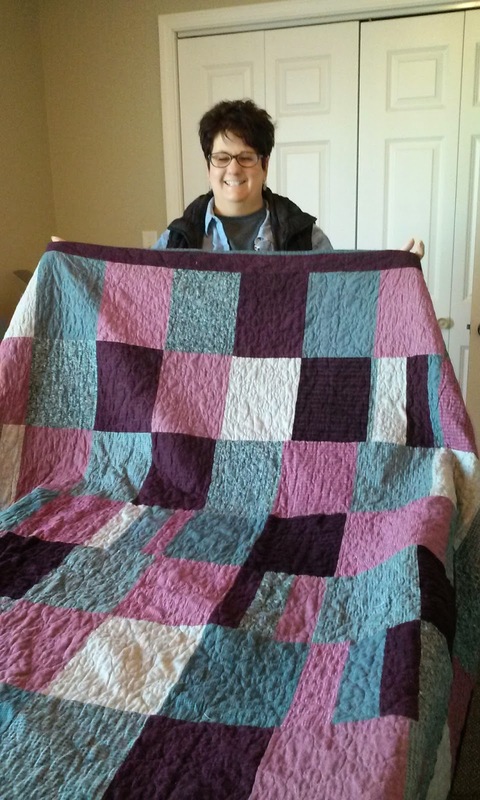 Here's Sandy with her latest finish! Isn't this the prettiest flannel quilt? She started out just making it all the big squares, but then had leftover pieces so thought, why not make them into blocks too? Sandy quilts on a frame with a domestic machine and does a wonderful job. This quilt is all flannel. Top, backing, and even the batting layer is just a piece of flannel. It's so soft and has a wonderful feel and weight to it. It makes me want to run home and cut up squares of flannel and make a quick quilt! Thanks, Sandy, for sharing! Love it!